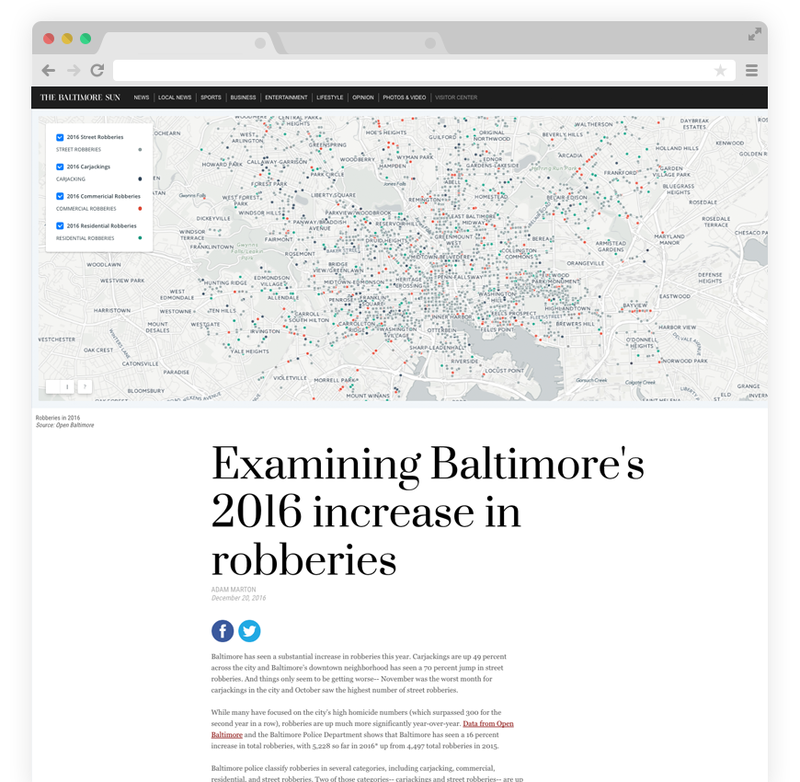 Baltimore saw a substantial increase in robberies in 2016. Carjackings were up 49 percent across the city and Baltimore’s downtown neighborhood saw a 70 percent jump in street robberies. While many have focused on the city’s high homicide numbers (which surpassed 300 for the second year in a row), robberies were up much more significantly year-over-year. This data project provides a deep-dive into the robbery statistics for 2016. For this project, I analyzed the data, created all of the graphics, and wrote the story. I was able to identify (and map) specific corridors that experienced a rash of carjackings and street robberies in 2016.